This standard is known as the TODD-AO format and is an extremely high definition widescreen film format developed in the mid 1950s. This format incorporated 1:2.2 flat (non-anamorphic) picture and 6 discrete channels of magnetic sound on film. This 6 channel sound is claimed by some technicians to be even better than the best digital sound system. Film was shot on 65mm stock film. From this film, 70mm prints were made and sound was added. Since filming in 65/70mm was expensive, its popularity as a production format declined from the late 1970s and early 1980s. However, still quite a few major films were (optically) 'blown up' from 35mm to 70mm, just to take the advantage of the better 6 channel magnetic sound. With the	introduction of digital cinema sound, the need for these very expensive 70mm prints disapeared. This is probably the largest film format ever made. It is the same film as the standard 70mm format, except that it runs horizontally through the projector and has as much as 15 sprockets per frame. This gives a superb sharpness, detail and stability. 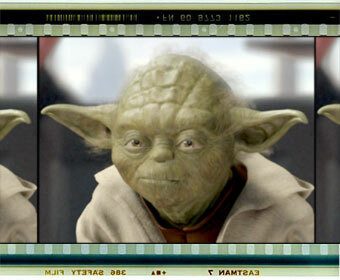 This format is used by IMAX to project movies on very very large screens.